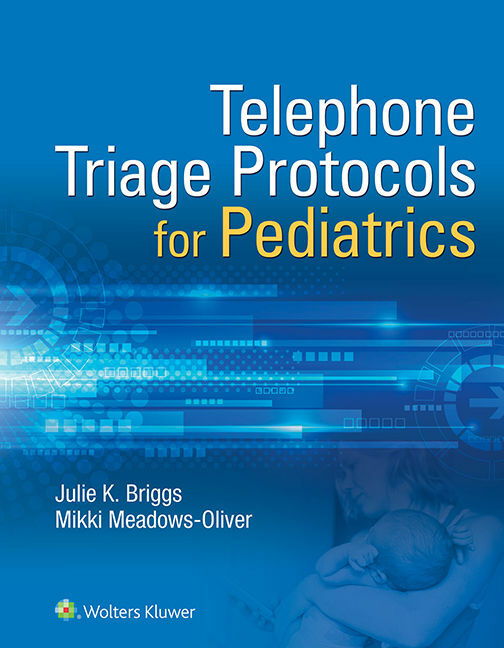 Handle questions about pediatric care with confident accuracy: Telephone Triage Protocols for Pediatrics is the quick-access guide to providing fast, efficient phone assessments and accurate care recommendations. This comprehensive, on-the-spot resource lists a broad range of symptoms alphabetically. A flow chart format provides the crucial Yes or No questions to ask, with each answer moving quickly to optimal recommendations or instructions. A vital resource for all nurses, this is irreplaceable to those in pediatric or family practice. Julie Briggs, RN, BSN, MHA, is Director of the Emergency Department at Good Samaritan Community Healthcare in Puyallup, Washington. Mikki Meadows-Oliver, PhD, RN, PNP-BC, is an Associate Professor at the Yale University School of Nursing in Orange, Connecticut.